Chemical peeling agents resurface the skin by inducing a controlled wound and thus removing superficial layers of skin. As a result, chemical peels promote the growth of a new healthy top layer of skin and improve skin problems like fine lines and wrinkles, hyperpigmentation, uneven texture and skin impurities and irregularities. Procedures will vary dependent on the type of chemical peel chosen. Skin is prepped using a medical degreaser to ensure the area is free of oils left on the skin. The chemical agent is then applied and left on the skin 3-5 minutes. Most patients feel a mild to moderate stinging which is temporary and usually subsides after about 5 minutes. Recovery times will vary based on the type and strength of the peel. Immediately after the peel, your skin will feel tight and may be red. Peeling usually lasts 3-7 days, depending on the actual peel treatment. Use of gentle cleanser, moisturizer, and sunblock is important. It will enhance the healing process and results. Normal activity may be resumed after the pee, however strenuous exercise and heavy sweating should be avoided for 7 days. Sun exposure should be avoided while skin is peeling. Peeling skin should be allowed to slough off naturally; picking or peeling of flaking skin is prohibited, as it may lead to scarring. Use of prescription topicals should be avoided for 14 days post peel. · One week before the peel avoid waxing, electrolysis, depilatory creams and laser hair removal. · Three to four days before the peel discontinue using any prescription topicals such as Retin-A, Differin, or Tazorac, as well as any products containing retinol, alpha hydroxyl acids, beta hydroxyl acids or benzoyl peroxide. 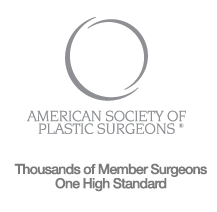 · Patients who have had any medical cosmetic facial treatments or procedures such as Laser treatments, cosmetic fillers or other surgical procedures should wait until skin sensitivity has completely resolved before receiving a peel. · Active cold sores, herpes simplex or warts in the area to be treated. · Wounded, sunburned or excessively sensitive skin. · Accutane use within the last year. · History of recent chemotherapy or radiation therapy. · Woman who are pregnant or actively breast feeding. · Patients with history of autoimmune disease (such as lupus, rheumatoid arthritis, psoriasis etc.. Or any condition that might weaken their immune system.